Treece, an exhibition of my photographs as well as an audio documentary by The Recollective, is on view from July 1- July 28, 2013 at The Baxter Springs Heritage Center and Museum in Baxter Springs, KS. There is an opening reception on Tuesday, July 2nd from 7-9pm. I'm pleased to have work in Kokoelmasta: Finnish and Finnish-American Art from the Finlandia University Collection. The exhibition will be on view from June 6 - September 4, 2013. I'm excited to have work in the current exhibition in the Portland Art Museum's photo mezzanine, FIERCE: Animal Life from the Collection. The exhibition is on view from May 4 - August 25, 2013. As part of my fellowship, I'll be briefly speaking about my work at A.I.R. Gallery tonight from 6:30-8pm. The gallery is located at 111 Front Street, #228, Brooklyn, NY 11201. 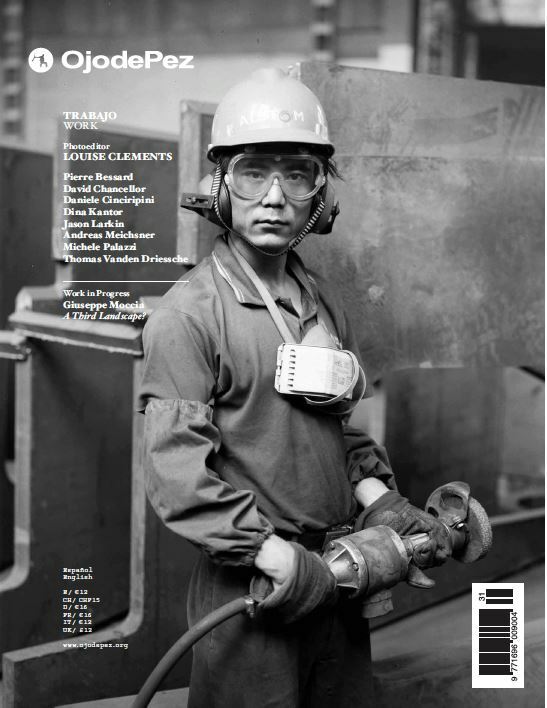 Pick up the most recent issue of OjodePez Magazine, TRABAJO/WORK, curated by Louise Clements to read more about my work in Treece. I am honored to have been selected for a summer artist residency at the Constance Saltonstall Foundation for the Arts. I will be spending one month in Ithaca, NY making new work! I'm happy to announce that I have been selected as an A.I.R. Gallery Fellow for 2013-2014. Finnish & Jewish opens at The Garner Center at NESOP in Boston, MA. The exhibition is on view from February 25-April 12, 2013. Please join me for the opening reception on Thursday, March 7th. My photographs in Treece were featured in a piece in Discover Magazine by Rebecca Horne. Click here to see the full article. Pick up a copy of the September issue of Popular Photography to read the article Film Lives: The Enduring Allure of Analog Photography, by Debbie Grossman. The story highlights photographers who are continuing to use film, and features one of my photographs from Treece. I was interviewed by Claire O'Neill for NPR's The Picture Show. See the story here: How to Make a Ghost Town. 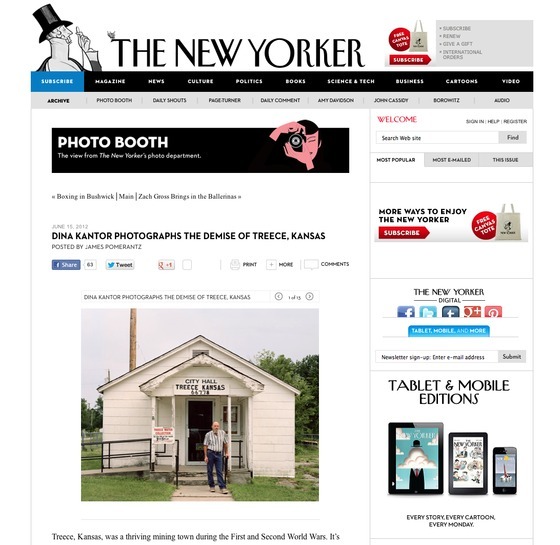 I'm excited to have my project in Treece featured on The New Yorker Photo Booth today. Please click here to see the work and read the article by James Pomerantz. I am incredibly honored to be one of the 2012 recipients of the Aaron Siskind Foundation Individual Photographer's Fellowship Grant. Thank you to the Aaron Siskind Foundation, and to the judges, Phong Bui, Katherine Bussard and Marvin Heiferman. A selection of my photographs from Treece are currently on view online through the Photographic Resource Center in Boston. Click here to see the feature. My photograph of Ryan, Lane & Lance from Treece is featured on Flak Photo today. Click here to see it. Looking forward to participating in Review Santa Fe in a couple of weeks! I'll be bringing new work from my project in Treece, Kansas. I just returned from another trip to Kansas, where I am continuing my project in Treece. Click here to read about my experience photographing the city hall being demolished and the water tower coming down on Blue Earth Alliance's blog. I've been selected as a runner up for the Camera Club of New York's Darkroom Residency Program, which allows me to use CCNY's facilities for one month. I plan to use this time to continue developing my project in Treece, Kansas. Two of my photographs are on view at the Finlandia University Gallery through January 14, 2012. They are included in the Contemporary Finnish-American Artist Series 20th Year Retrospective Exhibition, along with work by Arno Rafael Minkkinen, Bruce A. Niemi and more. I photographed Jeff Koons for The Financial Times. 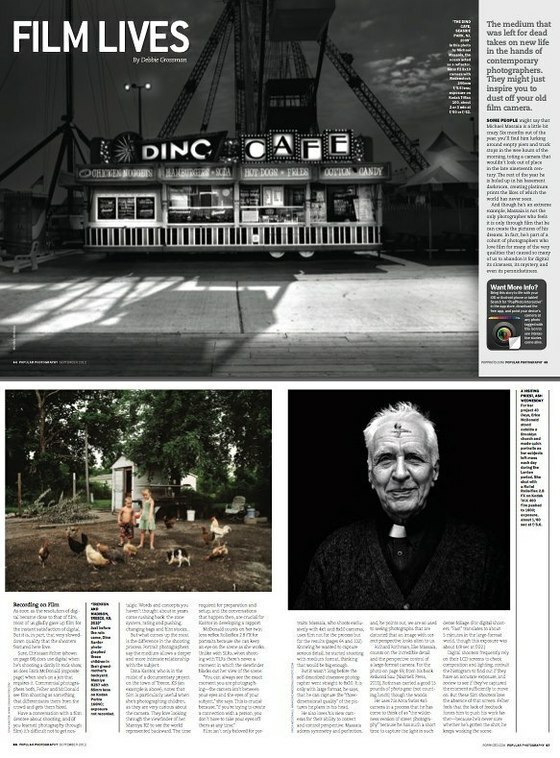 It ran in the Collecting supplement of the Life and Arts section on Saturday, November 26, 2011. Click here to see the article by Susan Moore.